Danya and I have different world views when it comes to recipes. I love the classics and she’s really into twisting, tweaking and changing recipes until they are hers. So when we sat down to brainstorm about what we wanted to post for the upcoming Jewish New Year (Rosh Hashana), I came out and said it- “Why don’t we do a recipe for a delicious honey cake”. She gave me one look and if I had to translate it in my own tongue it would have said- “Seriously!”. So instead of going for the super traditional route (apple cake is like the pecan-pie of Thanksgiving), I decided to let her take this holiday. (Don’t worry classic lovers, I’ll get the next holiday). 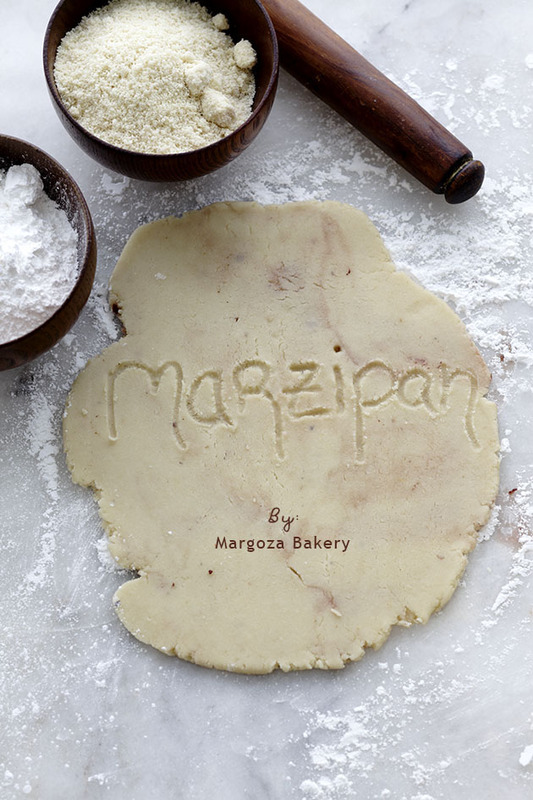 We teamed up this year with one of the best bakeries in Tel Aviv, Margoza bakery. It’s tiny and family run, and it’s Danya’s and my favorite spot for coffee before a shoot, for a lunch meeting and even for an afternoon baked snack. So when we sat with Michal, the owner of Margoza, we picked her brain for an untraditional kind of holiday dessert. And there it was: Marzipan. I always thought that Marzipan was the kind of either you love it or hate it food, and I thought I was closer to the hate it side (although I really don’t like to say hate when it comes to food). But once I tried Michal’s homemade marzipan I was seriously hooked. I kept on going back to the fridge to cut off another tiny piece and then another tiny piece and by the end of the day I had probably eaten at least a cups worth. It’s insanely easy to make from home, who knew? All you need to make homemade Marzipan is finely ground almonds, powdered sugar and egg whites. Thats really it. Almonds- You can use almonds that are unpeeled, but that requires soaking, and peeling them. It’s best to either buy ready made ground almonds or to simply grind them yourself using blanched almonds. I found that putting blanched almonds in the blender yields the finest texture. Egg whites– This is what brings the marzipan together. If you prefer not to use egg whites you can substitute with simple syrup. Texture– One of the benefits of making marzipan yourself is that you can control the desired texture. Michal made two very different textures of marzipan with the two cakes she brought. The one she made for the bebka was doughlike and the one she made for the tart was softer, making it easy to pipe onto the tart. The more egg whites (or syrup) you add, the softer and more “liquidy” the marzipan becomes. Flavor– You can add flavors to the marzipan according to your taste. 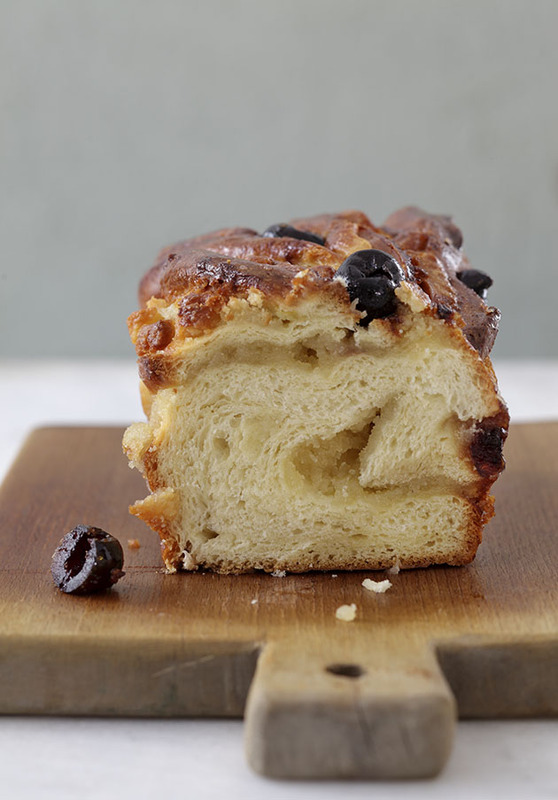 We decided to add Amarena cherries to our marzipan in the bebka cake which turned out to be a fabulous match. You can add lemon zest, rose water or pure almond extract (water based, not alcohol) or any other flavor you may desire. Just make sure to put a very small amount so that the flavor doesn’t overpower the flavor of the marzipan. Flavors should be added to the dry ingredients (see recipe below). In a large bowl ,mix together the dry ingredients. Gradually add the egg white and mix until the texture is similar to that of cookie dough. Wrap in saran wrap and store in the refrigerator for up to a week, or in the freezer for up to two month. This is one of those cakes that are really hard to resist. Once it comes out of the oven it will fill the entire house with the most delicious aroma of sweet dough and almonds. The best part of this cake are those little burnt pieces of marzipan that are exposed while baking- they are little caramelized pieces of heaven. Using a mixer fitted with a dough hook, mix together the flour, yeast, sugar and salt until combined. Add the eggs and milk and mix until dough is formed. Add the butter and continue mixing on medium speed until the butter is worked into the dough (about 10 minutes). Cover the dough and allow to rise until doubled in size or overnight in the refrigerator. Line two loaf pans with parchment paper. 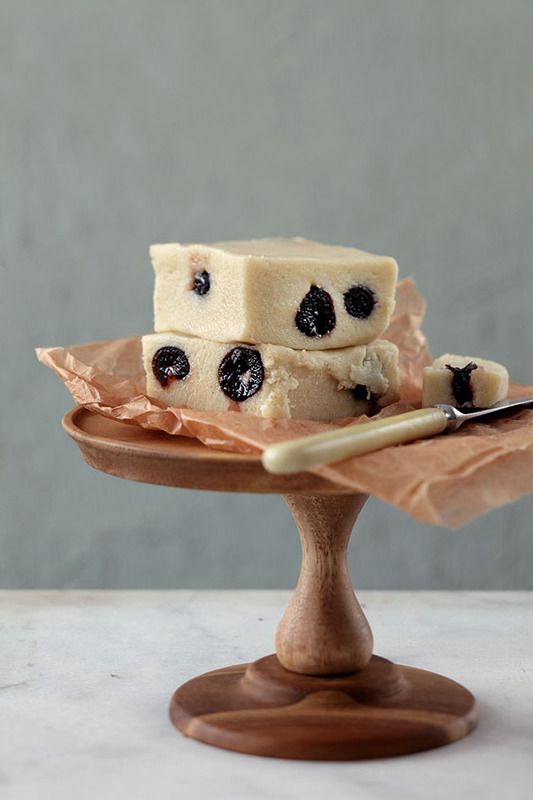 Meanwhile make the marzipan: Combine all ingredients except for the cherries in a large bowl until dough-like texture. Once the dough has risen, working on a lightly floured surface, roll the dough out into a large rectangle, about ¼-inch thick. Place some powdered sugar on the work surface and roll out the marzipan to about ⅛-inch thick. Place the marzipan onto the rolled out dough and place the Amarena cherries evenly on top. Roll dough into a log legthwise and cut into half using a very sharp knife. Braid the two pieces together, and close each end. 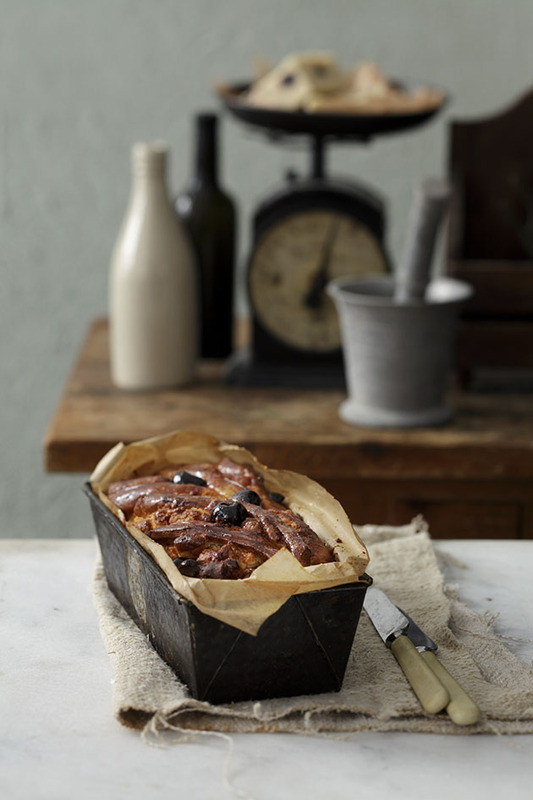 Place cakes into prepared loaf pans and cover with a clean kitchen towel and allow to rise for another hour. Preheat oven to 350℉/180℃. Once risen, bake for 45-50 minutes until golden. This is a very festive and impressive dessert, perfect for any holiday dinner. If you are not into piping bags and all that, you can simply spread a layer of the marzipan onto the cake. Wont look as pretty but will still have the same awesome taste. Prepare the crust: Using a mixer fitted with a dough hook, mix together the butter and egg until combined. Add the ⅓ cup of flour, sugar, ground almonds and salt and mix until all ingredients combined. Add the remaining cup of flour and mix until just combined. Wrap in plastic wrap and refrigerate for at least 30 minutes. Roll out dough to an ⅛-inch thick and place into a butter tart pan. Cover dough with aluminum foil or parchment paper and fill with baking weights (dried rice, beans etc.). Bake for 30 minutes until the crust is golden and completely baked. Make the apple filling: In a large skillet, heat the sugar on high heat until the sugar melts and turns brown (do not mix). Add the apples and then mix. Remove from heat, allow to cool to room temperature and strain the apples from the liquids. Make the marzipan: mix all ingredients together until smooth. 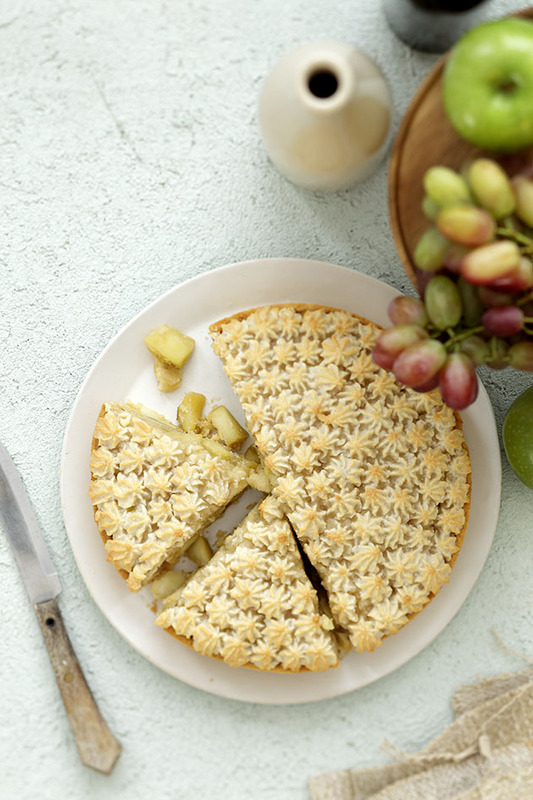 Prepare the tart: Fill the crust with the apples and using a piping bag fitted with a star tip, pipe the marzipan onto the tart in a circle. Bake for 15 minutes, just until the marzipan has browned a bit. Serve warm or at room temperature. I love marzipan (as long as it is not too sweet)! I never thought about making it myself- but maybe now I will. The Bebka I will try for sure. Thanks for the recipe.